Arthritis is inflammation and/or stiffness around a joint, commonly resulting in pain. The NHS advise around 10 million people in the UK suffer with arthritis. 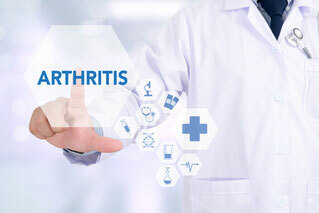 The most common types are Osteoarthritis (OA) and Rheumatoid Arthritis (RA), with OA affecting around 8 million of people and RA affecting 400,000 people. As this is such a large topic, this month we are focusing on Osteoarthritis, and next month we will take a closer look at Rheumatoid Arthritis. OA is the most common type of arthritis. It can lead to chronic disability. It can also be present without any symptoms. However as it progresses it can lead to pain, stiffness and decrease in range of motion of joints.. 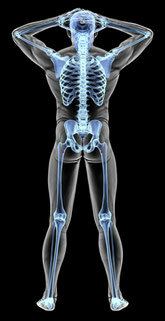 The most common areas affected are the spine, knees and hips. Obesity - people who are overweight are more likely to develop OA. Occupation - jobs which involve: squatting or kneeling are more likely to develop knee OA: lifting or standing more likely to develop hip OA and manual dexterity (CHIROPRACTORS) more likely to develop hand/wrist OA. Joint abnormalities - such as development abnormalities are at more risk. The above information has been taken from Musculoskeletal Health 2017, Arthritis Research UK. The cause of OA is unknown. OA develops due to a loss of hyaline cartilage within a joint which can result in bony changes, such as bony outgrowths (osteophytes) and increased bone thickness (sclerosis). The soft tissues around the joint can also be affected: Synovium becomes inflamed, ligaments become lax, and muscles become weak. It is unclear as to whether there is a single cause to OA or if there are multiple factors. Different parts of the body have different risk factors, such as the hip joint will undergo more weight bearing in comparison with the interphalangeal joints of the hands which have more repetitive use. There can be secondary causes of OA where the cause is known i.e trauma; or primary causes where the cause is unknown. Hormonal status and bone density as there is a higher incidence of OA in post menopausal women. Increased prevalence to age related disorders such as OA to those who are continuously exposed to oxidants. Pain - during or after movement. Tenderness - over or around affected joint. Stiffness - especially in the morning or after period of inactivity. Noisy joints - grinding or constant clicking of joints. Bone spurs - hard lumps around affected joint. The health practitioner will examine for any tenderness, swelling, redness, changes in temperature of skin, and assess the range of motion within the joint. Followed by other provocative tests. XRAY - to assess the joint space of the joints, whether there is any bony spurs or sclerosis occurring. MRI - not as common but will allow visualization of the cartilage to assess degree of damage. Blood tests - there are no specific blood tests for OA so it would be used to rule out other diagnosis such as RA. Joint Fluid Analysis - fluid is drawn from the joint space to assess for inflammation and to determine any other causes such as infection or gout. OA cannot be reversed, so conservative treatments are aimed at assisting with management of the pain, maximising the range of motion and function within the affected area. Changes in lifestyle, including exercise and health management, are effective in managing OA. NSAIDs - over the counted or higher dosages are supplied. Nutritional supplements such as Glucosamine and Chondroitin. Surgery is not always required and is the last resort if the above has not been beneficial. Cortisone Injections - assist with relieving pain but are usually limited to 3 or 4 a year due to the long term effects it can have to the joint. Lubrication Injections - injections of Hyaluronic Acid can assist with pain relief and contribute to the cushioning of the joint particularly the knee. However research is limited in this area. Realigning the bones - through an Osteotomy. Strunk RG, Hanses M. Chiropractic care of a 70-year-old female patient with hip osteoarthritis. Journal of Chiropractic Medicine. 2011;10(1):54-59. doi:10.1016/j.jcm.2010.10.001. Nahin RL, Straus SE. Research into complementary and alternative medicine: problems and potential. BMJ : British Medical Journal. 2001;322(7279):161-164.